Open Box Pig Hog Solutions Headphone Extension Cable 3.5mm (10 ft.) 10 ft. 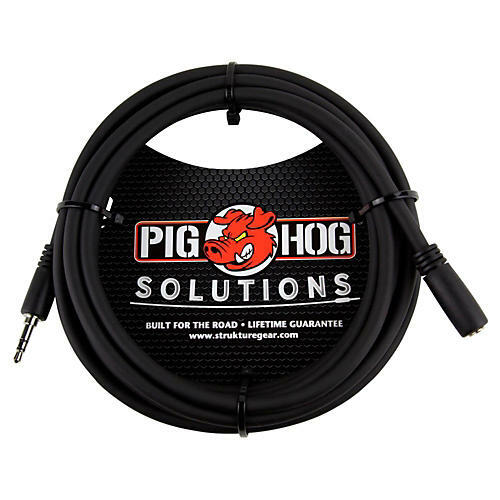 The Pig Hog Solutions line features an expanding selection of adapter and cables designed to solve common interfacing problems in the studio and on stage. Each cable is manufactured to Pig Hog's high-quality standards to insure transparent reproduction of the source audio without any coloration or distortion. Pig Hog is designed by musicians, for musicians, combining the highest quality performance with outstanding value. And with Pig Hog's "no question" lifetime guarantee, they've got your back for the life of the cable.